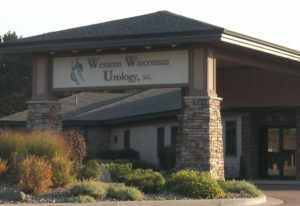 Urologic Care Closer to Home | Western Wisconsin Urology, S.C.
Western Wisconsin Urology is a single specialty medical group whose physicians and staff are devoted solely to the medical and surgical treatment of urologic disease. This exclusive focus on urology provides a superb environment for the practice of state-of-the-art, high quality, and efficient, personalized patient care. WWU has been serving western Wisconsin and portions of eastern Minnesota since 1975. The main office is located in Eau Claire, but for the convenience of our patients, WWU also offers urological consultation and surgery in regional clinics and hospitals located throughout western Wisconsin and eastern Minnesota. Copyright © 2019 Western Wisconsin Urology, S.C.